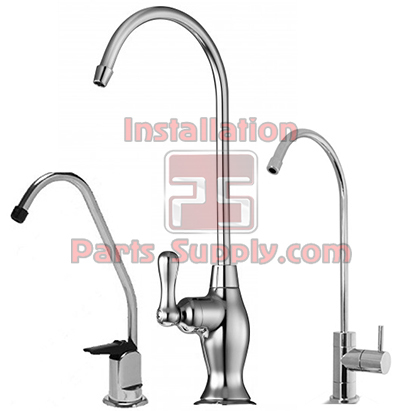 Faucets for Water & Reverse Osmosis by Tomlinson feature a Lead-free ceramic disk with faucets available in 6 styles and 3 finishes* offering many options to coordinate with any decor.These reverse osmosis faucets feature engineered plastic housing and plastic water passages. 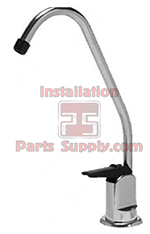 Each RO faucet has 36" pre installed 1/4" inlet tubing and 3" inlet shank with 7/16-24 threads.The lead free gooseneck spout on this reverse osmosis faucet swivels 360 degrees. Polished chrome plated finish is standard on this faucet; available in satin nickel in most value reverse osmosisfaucet styles.